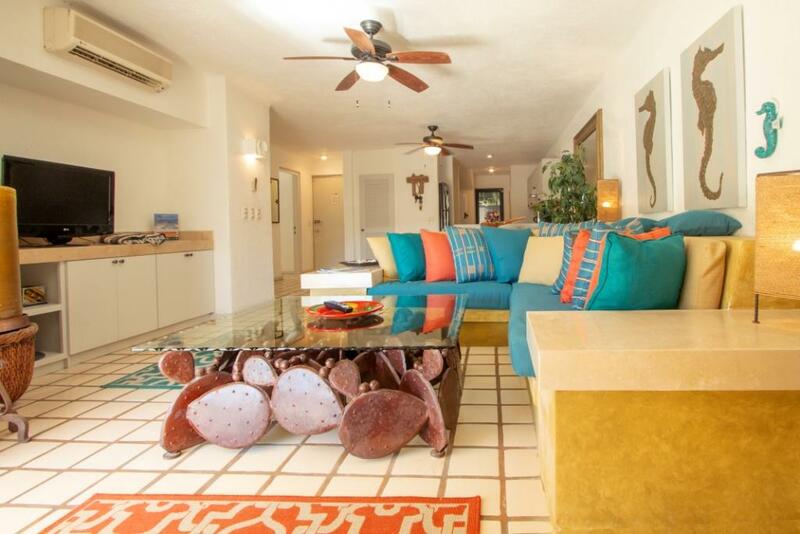 The North, West and South sides of our condo, are all enveloped by decks – all rooms opening onto the decks – and from there, walk onto beach sand,100 meters from the pools & 150 meters from the ocean. 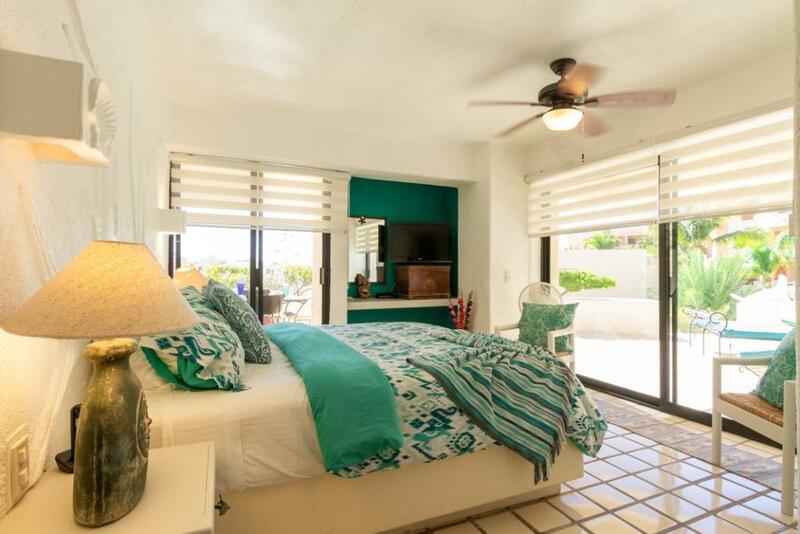 Is deluxe, furnished with authentic Pueblo Mexican craft from wrought iron furniture and tables to wall hangings and hand-woven rugs, planters, crockery, and wall cabinet-credenzas. 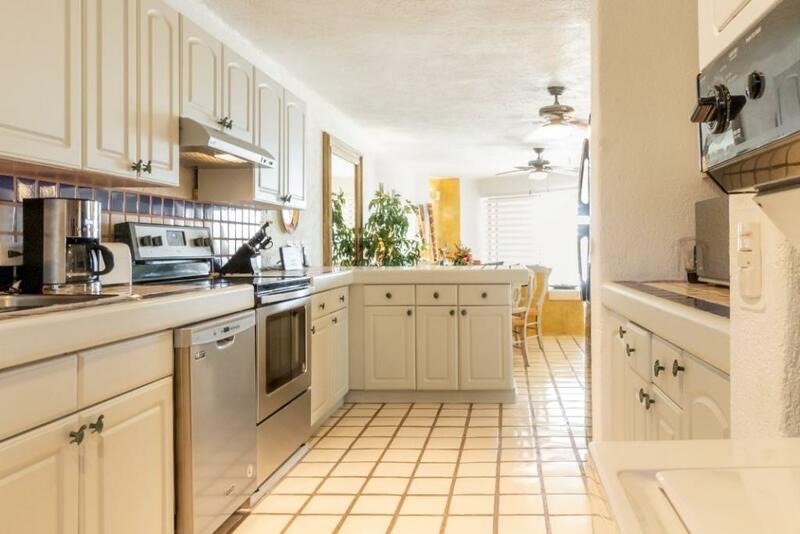 The kitchen is very large, open and fully-equipped. WI-FI: We have added WIFI to unit 167 – giving you High-Speed, password-protected Secure Internet Access in the condo and on both the Main & Sky Decks. What a lovely spot- exactly what we were looking for. 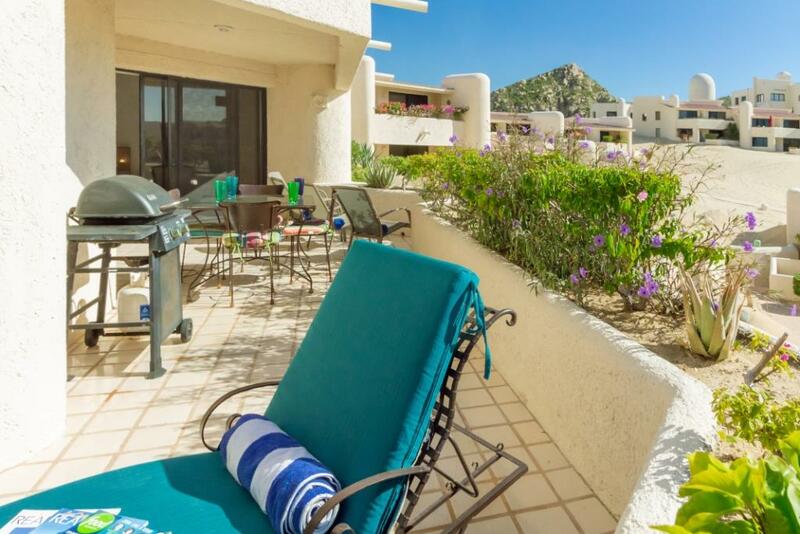 A private, quiet beach with low volume of tourist traffic, a secluded enclave just a few minutes walk from downtown Cabo, and amazing accommodations!! 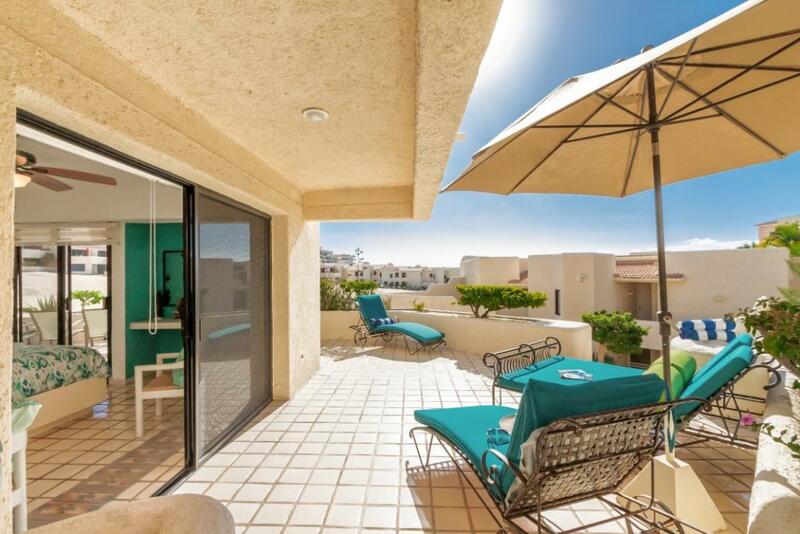 We had Craig & Lori’s two bedroom unit with a huge deck spanning the length of the condo at beach level, and a beautifully appointed two bedroom apartment. The kitchen and bathrooms are first rate, beautifully appointed with expertly done tiles and fixtures, everything totally first class. 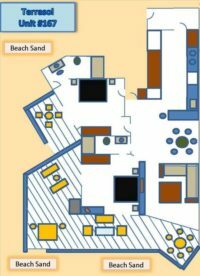 The restaurant has a swim up bar, excellent food, and is the cheapest of the beach front kitchens of the resorts on the strip. Of particular note is the amazing wildlife. We were there in early January and saw whales swimming literally within 100 feet of the shore, and there were even sightings of manta rays breaching the water. We did not go snorkeling, but there was plenty of sea life visible just walking the beach and the marina, all kinds of colorful fish, sea lions, and plenty of terns and pelicans. I’ve stayed at the Terrasol a few times and it just seems to get better each visit. 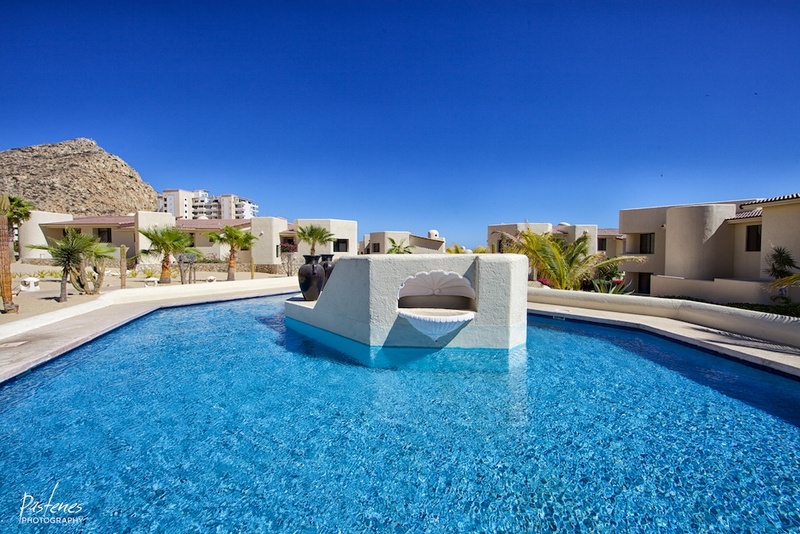 I gotta say, with Cabo’s growth I have become more appreciative of the Terrasol. This was one of the first hotels/ condos around Cabo and it’s low to the ground with maybe 3 floors at the most and tucked into the sand dunes on the Pacific side nestled next to arguably three of the best mega resorts in Cabo (Sando’s finiesterra, Capella Pedregal, and Playa Grande). It’s in the center of town across from the marina and walking distance to all the hoopla. This made it so easy to get around and stay busy with a family of five. We stayed in our favorite unit thus far (#167) which was a two bedroom with new appliances (dishwasher, washer, dryer, microwave, fridge, stove, etc.). 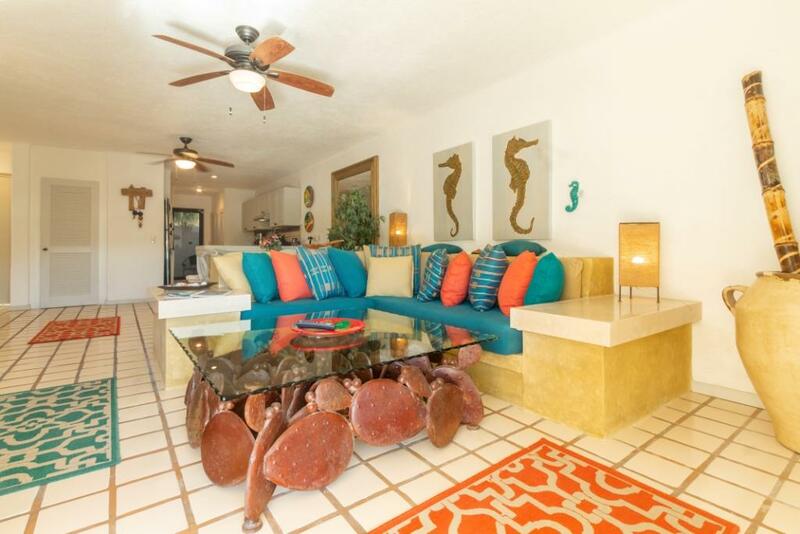 It was also well decorated with some unique items like a vintage wine opener, cactus themed table, and Acapulco chairs on the wrap around balcony. The outside square footage was massive with a grill, lounge chairs, tables, and enough seating for my family plus guests. The whole place was clean as could be, no bugs, and spotless bathrooms with large tubs in both bathrooms. The satellite cable had all the best channels including the news for KTLA our home station, as well as, a bunch of Canadian stations. We enjoyed the swim up bar/ restaurant where the food was excellent. This was a family pool that had three depths of water allowing even our youngest one year old a safe swim in a foot of water. The other pool was great as well with an infinity like edge on it looking out onto the beach. This beach is the backside of Lands End, so sunrise and sunsets were spectacular and the rock formations at the far end were out of this world. Great for morning and sunset walks! *I heard this is where they filmed some scenes from Planet of the Apes. Fishing off shore from this beach was great as well! Parking was unbelievably easy with gated entry and 20 steps from the condo! What else can I say? 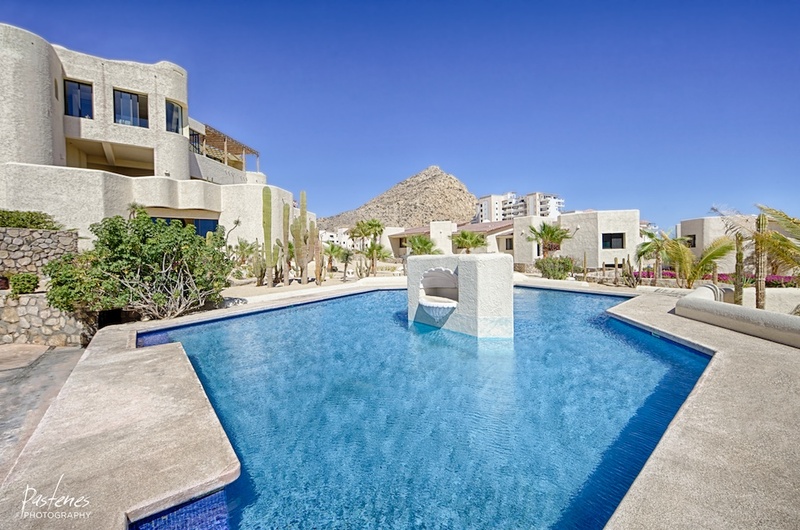 We are looking forward to our next trip to Cabo and will be requesting Unit #167 again! It was perfect for our family!! Fantastic rental experience with Craig Harrison. Extremely fast response time to all matters big and small. 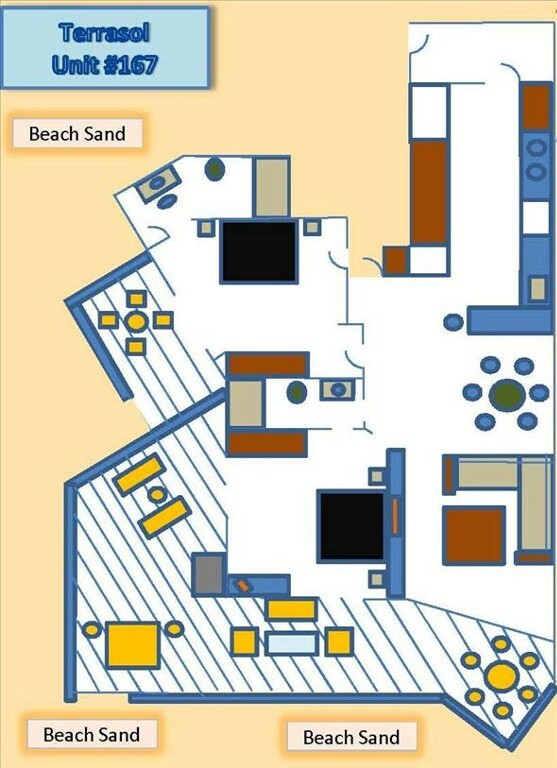 There is an ocean view from the living area and the huge patio. It is not ocean front but you definitely have a view. Everything works and it is extremely comfortable. As said before about Terrasol, the location is fantastic. 5 minutes to the marina. Pools are comfortable and while you can’t swim you can lounge on the beach all day! No problem getting a lounger pool side – even during spring break week. Sun rise is beautiful over the Pacific. 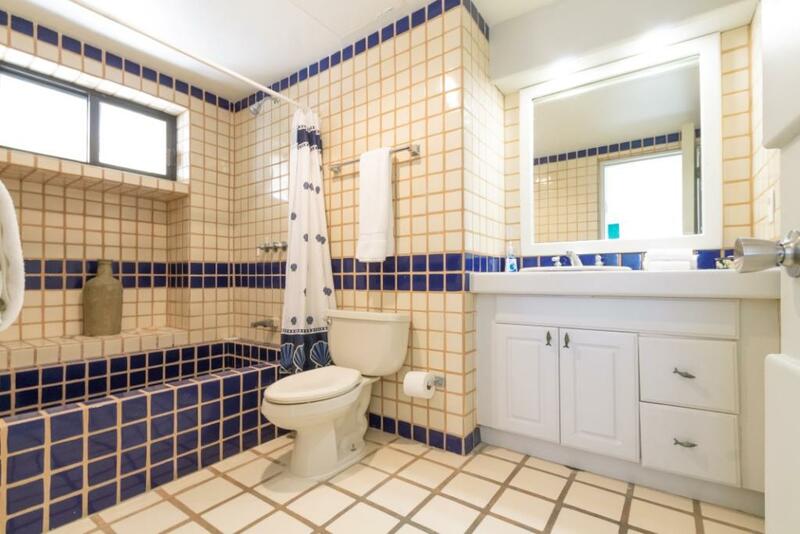 I would rent this unit again in a heart beat. 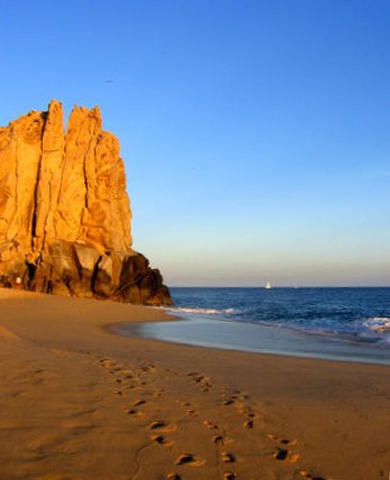 We’ve been to Cabo quite a few times and have learned to stay within walking distance to the Marina and town. All inclusives here are a waste for us because we love to try all the local cuisine and bars. 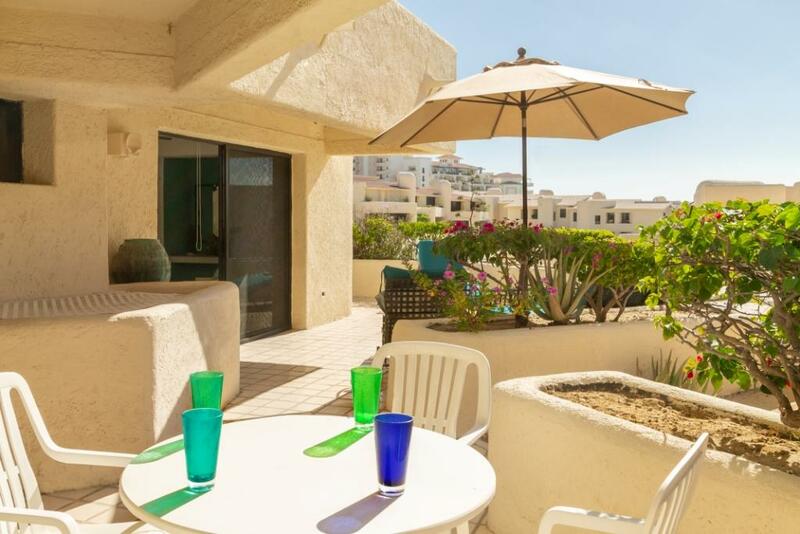 This condo has definitely been our favorite! The condo itself [unit 167] had everything we needed and more. The wrap around deck was the highlight though! It was furnished above and beyond and spent much time there including sleeping under the stars one night! Unbelievable & sooo comfortable!!! 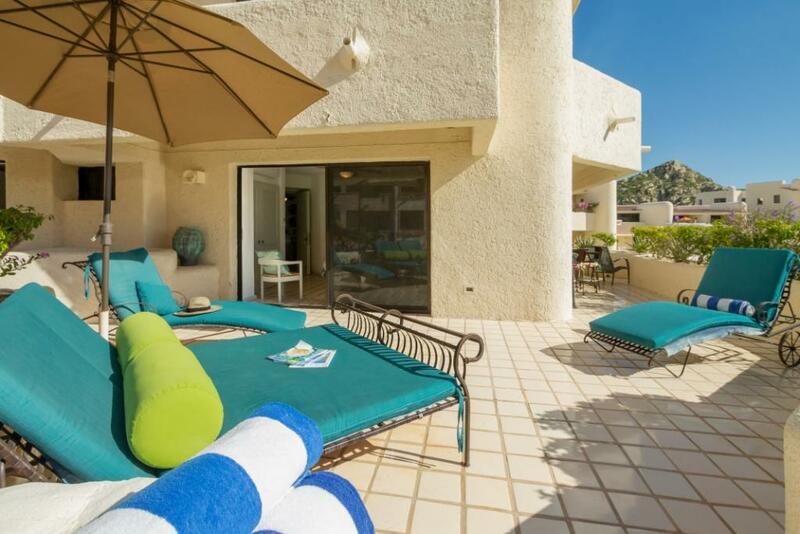 This condo itself was not directly on the ocean but close and was in a very quiet and private area which we loved. You can walk everywhere!!! 2 beautiful pools, swim up bar and food & drinks great & priced very good. Mario at restaurant/pool bar was amazing and Carlos at desk extremely helpful. Full kitchen & outdoor grill gave us the opportunity to walk down to marina and buy fresh fish when the guys pulled in to take back to condo and grill ourselves! Yummm. Mario will also cook your fish for you if you’d rather take it to him. Browns Transportation was best choice we’ve ever made for trip to/from airport. Waiting on us with a sign with our name, took us to Walmart to stock up on way to condo and great guys! Craig Harrison made this all possible for us with all the info we needed to make it perfect! Even though we’ve been to Cabo this was the smoothest and best trip we’ve had! The beach and view we spectacular and our pictures look like they are right out of a magazine! Gorgeous!!! Thank you Craig! We will be back!!! 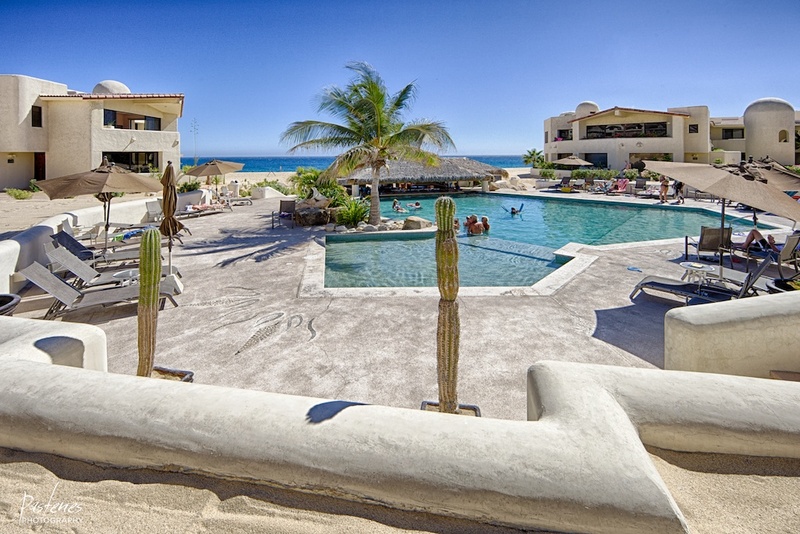 We’ve been to Cabo quite a few times and have learned to stay within walking distance to the Marina and town. All inclusives here are a waste for us because we love to try all the local cuisine and bars. 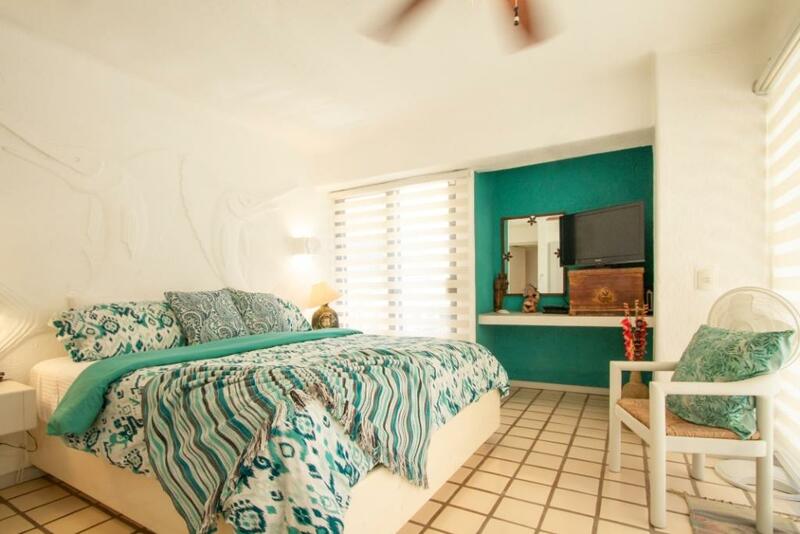 This condo has definitely been our favorite! The condo itself had everything we needed and more. The wrap around deck was the highlight though! It was furnished above and beyond and spent much time there including sleeping under the stars one night! Unbelievable & sooo comfortable!!! 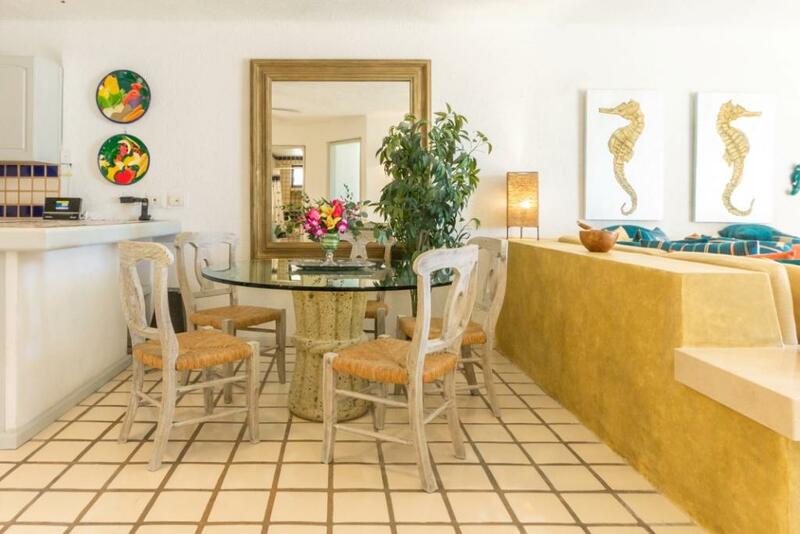 This condo itself was not directly on the ocean but close and was in a very quiet and private area which we loved. You can walk everywhere!!! 2 beautiful pools, swim up bar and food & drinks great & priced very good. Mario at restaurant/pool bar was amazing and Carlos at desk extremely helpful. Full kitchen & outdoor grill gave us the opportunity to walk down to marina and buy fresh fish when the guys pulled in to take back to condo and grill ourselves! Yummm. Mario will also cook your fish for you if you’d rather take it to him. We recently stayed in unit 167 and had a great visit. The condo was roomy and well stocked. The wrap around deck was amazing and the grounds were beautiful. The owner, Craig, was very helpful with booking and with information about the area. The staff was quick to respond to requests. The resort was quiet and private but within quick walking distance to town. The swimming pools were nicely maintained. Definitely would love to return! We have spent our winter vacation in Cabo for years . This year we decided to try something new and booked our time with the Harrison’s and stayed at Terrasol [Unit 167 with large wrap-around decks] …..and we were so happy we did! Craig made the reservation process so quick and easy. 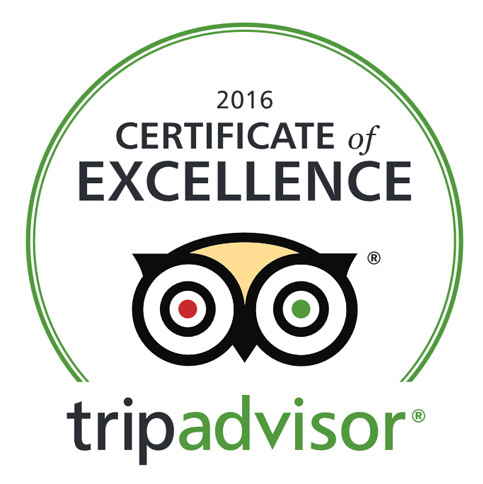 When we arrived we were very impressed by the helpful staff. 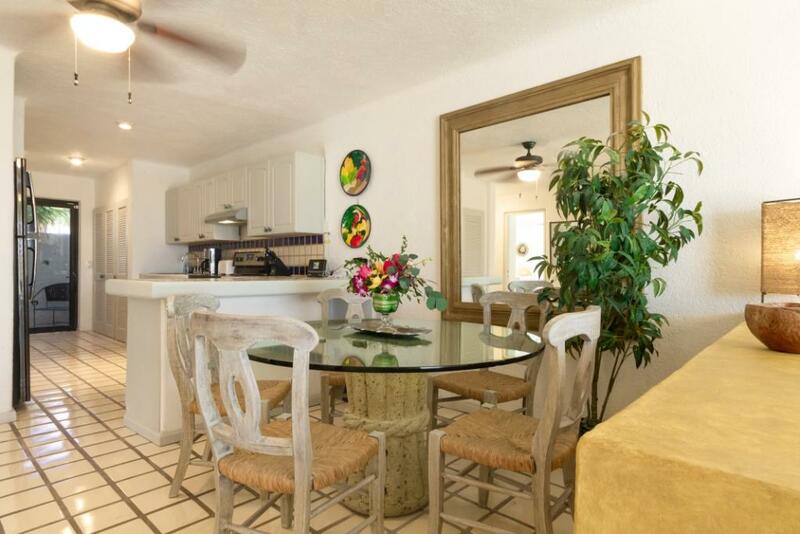 The condo is beautiful, has great outdoor deck areas and is just a short walk over the beach to the pool, ocean. The unit had everything we needed. 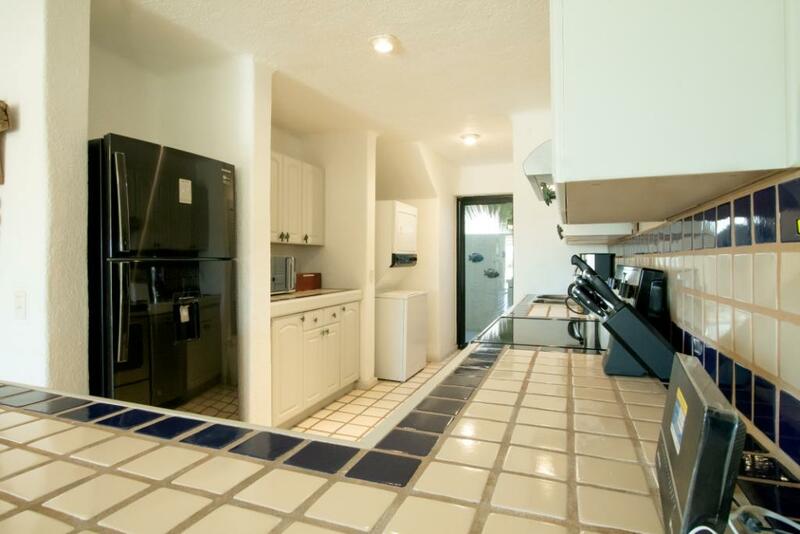 It is located very close to town, restaurants are within walking distance. We loved our time here and have already booked for a return trip!!! 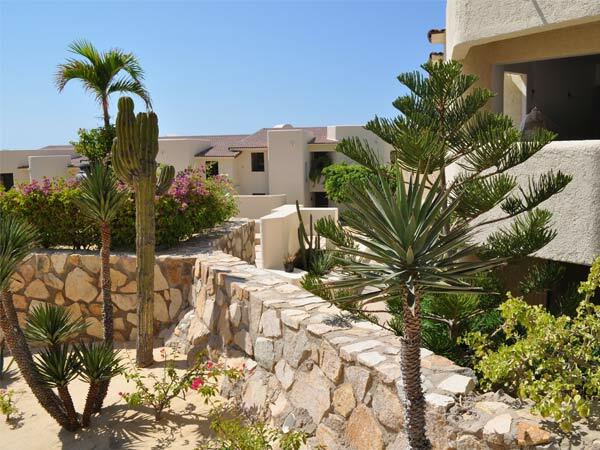 Terrasol, nestled between two large resorts on the Pacific Ocean side, is a quiet respite away from the bustle of Cabo. It has been our winter destination for the past 7 years. 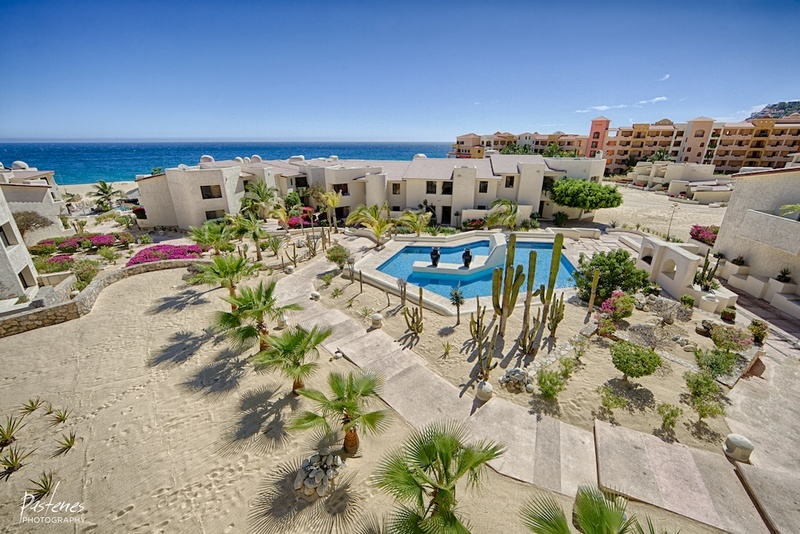 The Terrasol staff are helpful from Mario in the Palapa bar to Carlos or Esther at the front desk. It is a quick walk to town to where all the restaurants and activities take place. 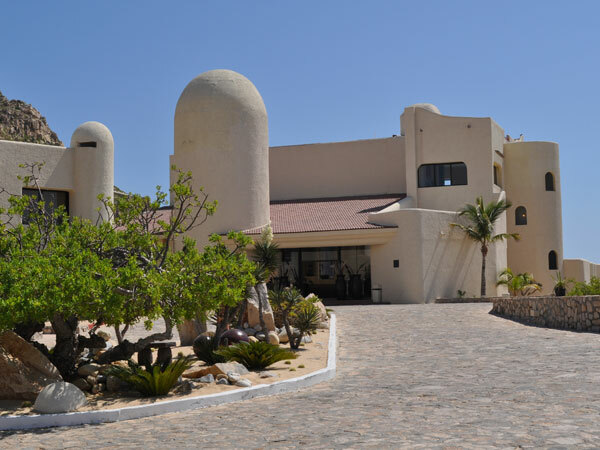 Be sure to check out Misiones de Kino for dinner. Always one of our favorites. Or for cooking in, take advantage of the local produce and seafood markets as well as the tortilla factory. 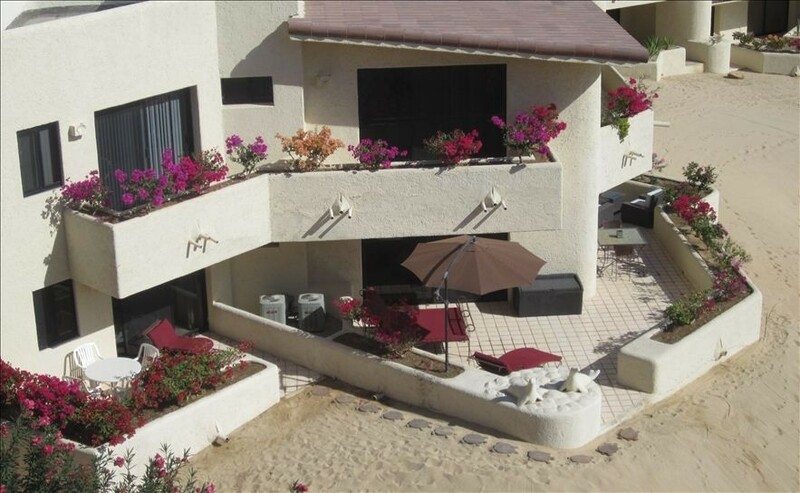 The condo is spacious with great outdoor seating where you can enjoy the beautiful sunrises or the stars at night. 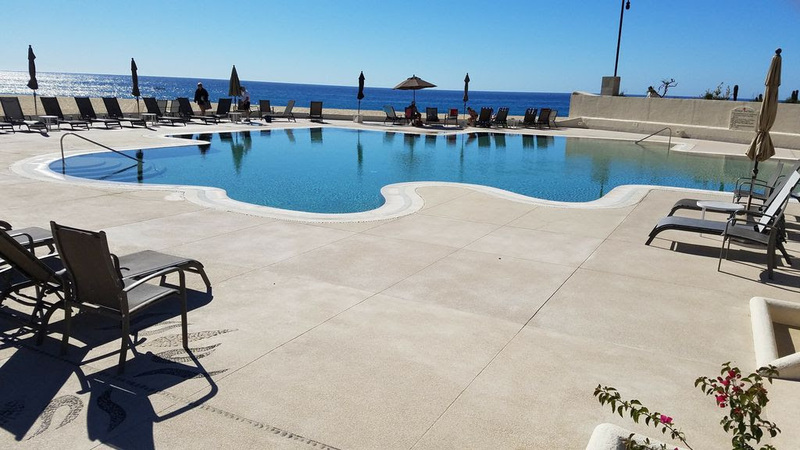 For spectacular views of the whales to sunsets, you have only to walk a few steps to the beach where you can sit in the many lounges and take it all in. The Harrisons met all our needs and made booking easy. We found several items missing in the condo and when the Harrisons were contacted, they were responsive and had the items delivered by the next day. 3 week this year, we will be back for a month! 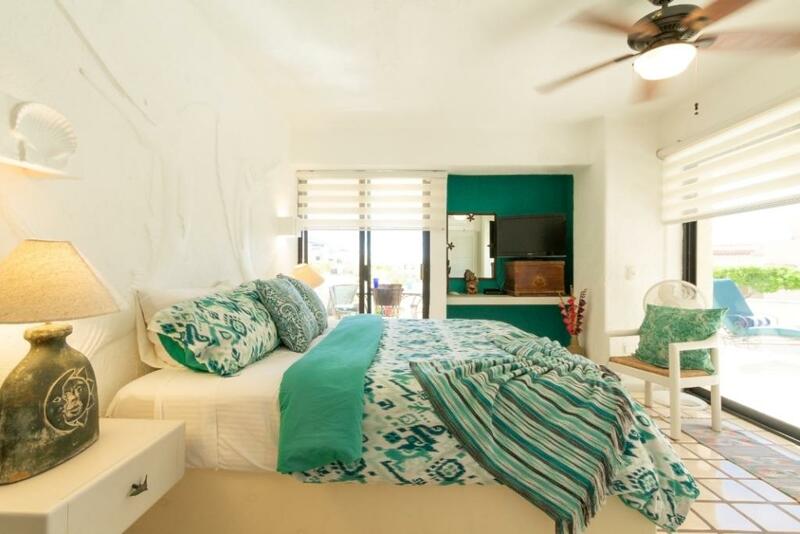 Room Tip: Condo 167 with the wrap around deck – Amazing …….. walk onto the beach !! This place is amazing! It’s quiet away from town, but walking distance into town. My kids loved it! Bring your family here, you won’t regret it. We saw turtle laying their eggs on the beach everyday. Baby turtles hatching right on the beach. The 2 pools were great. Mario the bartender makes great food for under $5 a meal. We used the pool at the grand every evening. The condo itself was very nice and well appointed. Recommended for: Families with teenagers, age 55+, families with young children, tourists without a car. 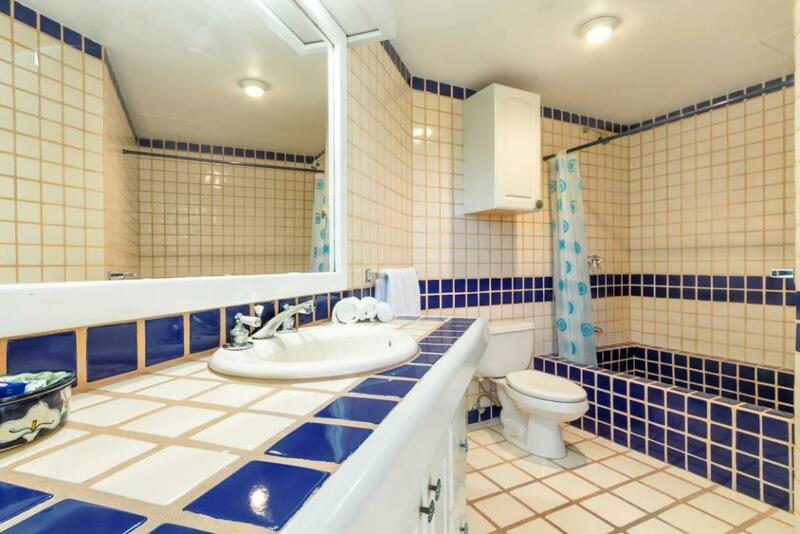 Spacious and clean! 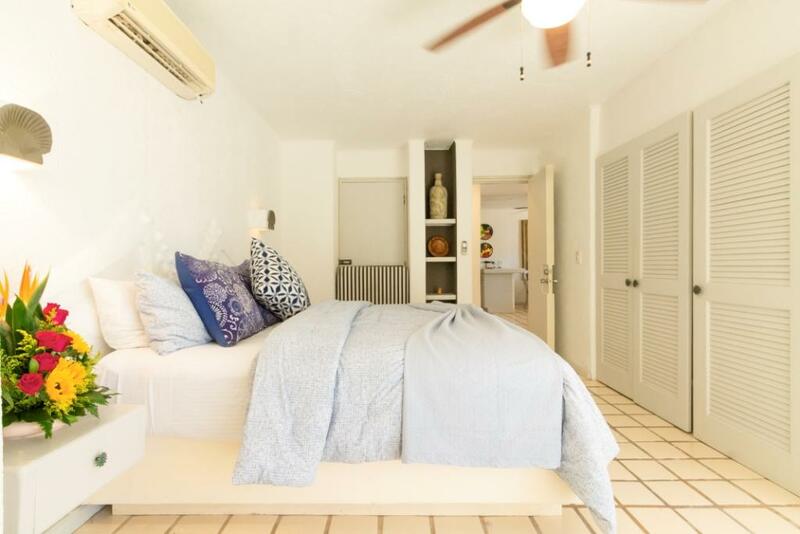 This unit is perfect for 2 couples to share! 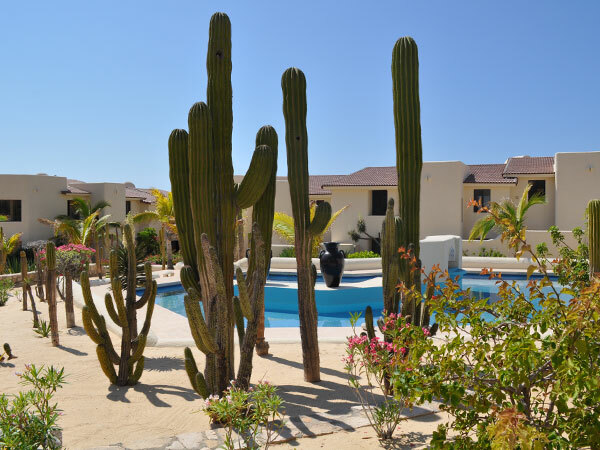 The owners are extremely responsive and the staff at Terrasol was very accomodating! We would definitely consider a return trip! Recommended for: Age 55+, families with young children, girls getaway, tourists without a car. 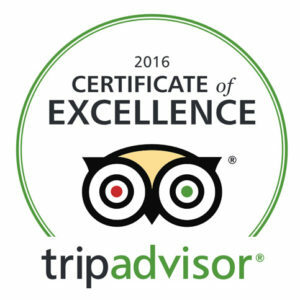 Recommended for: Romantic getaway, families with young children.